When: Wednesday, 29th May, 08:00 A.M. to 05:30 P.M.
Today in the world of work where the shortage of ‘right’ talent & unemployment is existing simultaneously. 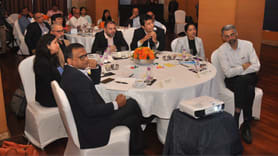 It is a no-brainer that the ‘right’ talent will be the differentiator of success for any organization. The onus, therefore, lies on the Talent Acquisition function to enable the organization in achieving its business outcome by having the right talent on board at the right time. One of the biggest challenge before any organization –is the TA function ready to make an impact? How are organizations preparing this function for the digital age? 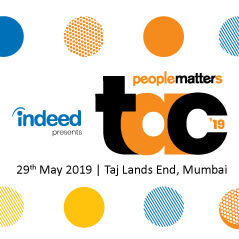 To answer this and more such questions, we bring to you the People Matters Talent Acquisition Conference 2019. Wednesday, 29th May, 08:00 A.M. to 05:30 P.M.